The Savi 410-M is the one-ear version of Plantronics 400 Series of headsets. 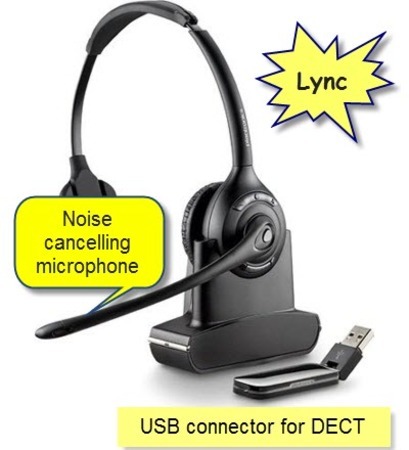 It is a PC / Lync wireless headset system with DECT technology that provides the portability, range and audio quality needed for today's flexible worker. Choose from three wearing styles and enjoy one-touch call answer/end, volume and mute controls from upto 120 metres from your PC. Sound confident wherever you are with voice-dedicated DECT technology that eliminates Wi-Fi interference and noise-cancelling technology to filter out background noise.